Company Law Club // Limited by Shares or Guarantee? When could a director be held liable for the acts of the company? The vast majority of companies - whether charitable or commercial in nature - are limited either by shares or by guarantee. But what does this mean, and how do the two differ? The first thing to consider is the concept of limited liability. One of the big advantages of running a business as a company, rather than in an unincorporated form (such as a partnership or sole tradership) is that all debts incurred by the company are the company&apos;s own liabilities - they are not directly the legal liabilities of the shareholders or of the directors. This is because, unlike an unincorporated business, the company exists as a separate legal &apos;person&apos; from the shareholders and the directors. Just like a natural or &apos;real&apos; person, the company can own property (such as money, land, intellectual property etc) and can also be responsible for its own debts. So, when the company incurs debts in the course of its business, only it is liable for those. In this way, the liability of the people who run the company is said to be &apos;limited&apos;. They are not responsible for the debts of the company - instead, their liability extends only to the &apos;stake&apos; that they have in the company. 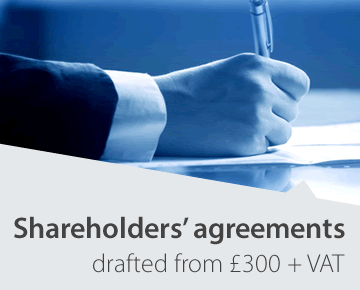 Once the shares are fully paid for (and this would usually be the case with a private limited company) no further money is payable by the shareholders. Their liability to the company is satisfied. 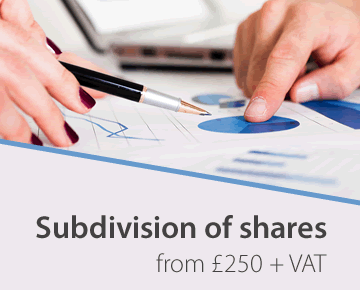 If the shares are issued unpaid (which can sometimes be the case for a variety of reasons), then if the company is wound up it can call on the shareholders who have not paid for their shares to do so. Either way, the liability of the shareholder is limited to the amount they have paid, or they are due to pay, to provide adequate consideration for the shares that they own. In a company limited by guarantee, there are no shares - hence there are no shareholders. Instead, the company will have &apos;members&apos;. The members of a company limited by guarantee are bound by a guarantee in the company&apos;s articles of association, which requires them to pay the company&apos;s debts up to a fixed sum - usually £1. Generally speaking, the directors incur no personal liability as all their acts are undertaken as agents for the company. However, there are certain circumstances where liability may be imposed by the court, particularly in respect of wrongful or fraudulent trading. Such circumstances tend to arise when the company has become, or is likely to become insolvent. Fraudulent trading is where any business of the company has been carried on with intent to defraud creditors or for any fraudulent purpose; this includes where debts have been incurred by a company knowing that they cannot be paid. Wrongful trading is where a company has gone into insolvent liquidation and it appears to the court that any person who has been a director of the company knew or ought to have known that this would occur and failed to take all reasonable steps to minimise the loss to the creditors. Unlike with fraudulent trading, there is no need to prove fraudulent intent on the behalf of the directors in order for them to be held liable for it. Directors must also abide by their duties as set out in the Companies Act, such as their duty to act within their powers, their duty to act for the benefit of the company, and their duty to act with reasonable care, skill and diligence. Penalties are imposed by the Act for acting outside of such duties. It is a surprisingly common misconception that a company which aims to benefit the community in some way must be limited by guarantee. It is true that some types of company - for example, those which are to be registered as charities - have to be limited by guarantee, just as it is true that the majority of commercial or &apos;for profit&apos; companies tend to be limited by shares. However, just as it is entirely possible to have a profit-making venture limited by guarantee, many community-based companies can be limited by shares - many CICs, for example, are set up this way in order to provide for another means of fund-raising (i.e. investors buying shares in return for fixed dividends under the CIC &apos;dividend cap&apos;). 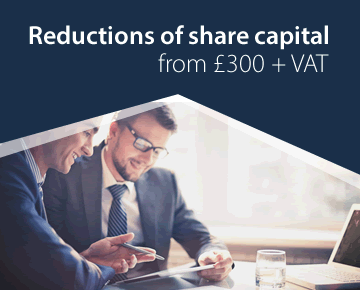 For more information on the manner in which community companies can be set up, please see our separate pages on companies limited by guarantee and companies limited by shares.